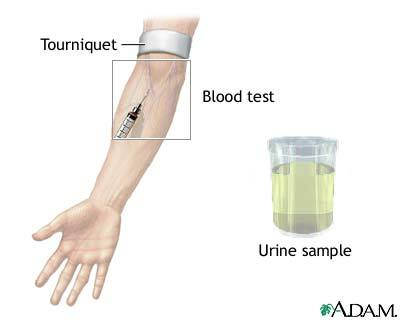 Blood (or urine) tests to determine the levels of various hormones in the body, including the reproductive hormones, thyroid hormones, adrenal hormones, pituitary hormones, and many others. The specific hormone(s) tested will depend on the suspected cause of the disorder or symptoms in question. Reviewed By: Frank A. Greco, M.D., Ph.D., Director, Biophysical Laboratory, The LaheyClinic, Burlington, MA. Review provided by VeriMed Healthcare Network.